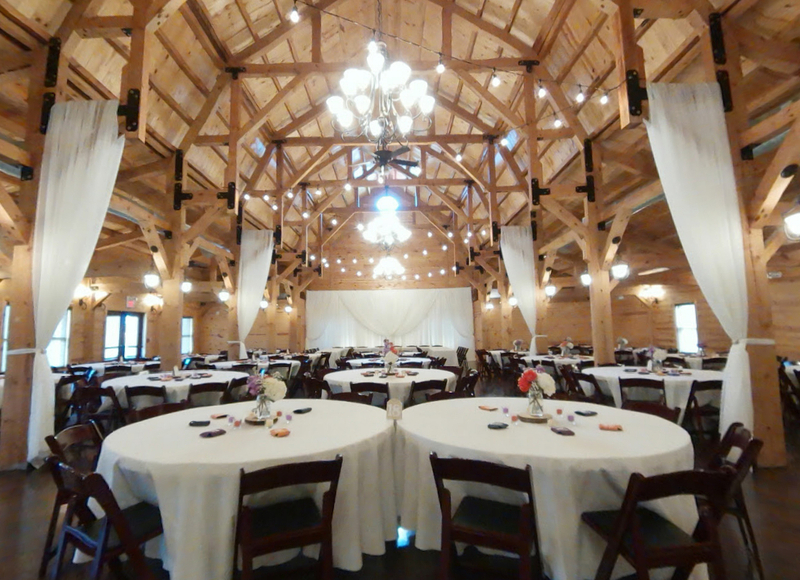 Canopy Creek Farms Wedding Venue, Just outside the stunning Reception Barn is the covered patio that runs the full length of the building. Perched atop the hill on 24 beautiful acres, the view is beyond compare. Gaze upon beautiful horses grazing in the field along with meadows of wild flowers. Overlook the pond surrounded by majestic trees, and in the distance, babbles the canopied creek. In addition, beyond the creek are winding horse and walking trails, waiting for you to explore. 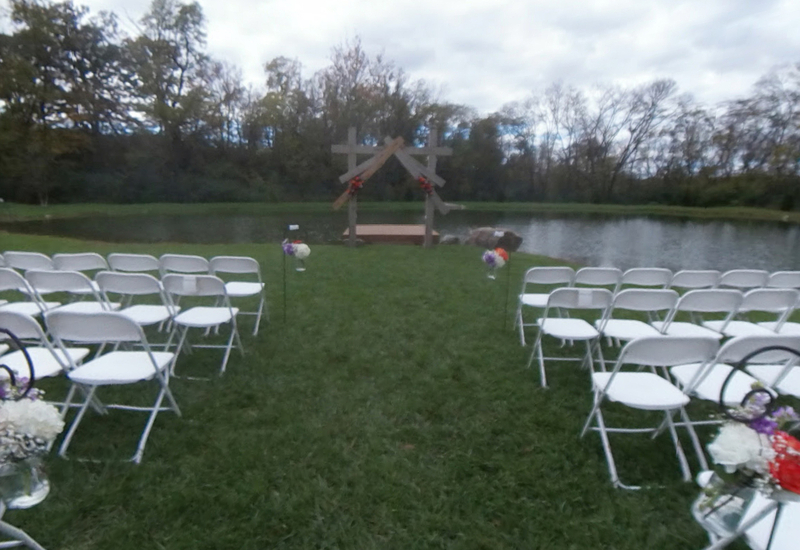 Entering Canopy Creek Farms Wedding Venue you will drive passed the horse stable to reach the lighted parking lot. Therefore, providing ample safe parking for you and all your guests. 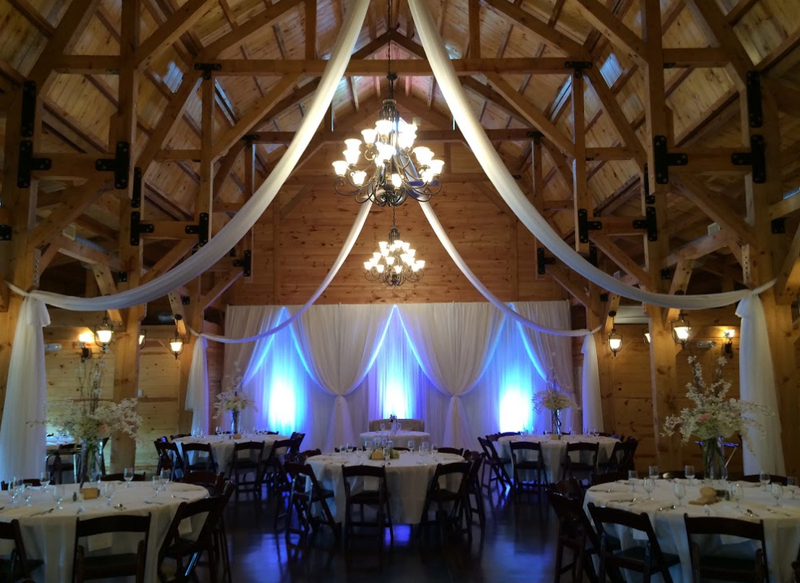 Handicapped guests can be dropped of at the front door with handicapped parking right next to the Reception Barn.